“When I was 18 I was attacked and stabbed in the chest, with the blade piercing my lung and heart.” After having his life saved at the hospital, Dr. Mahan went home to recuperate and was left with numbness and tingling down his left arm. He couldn’t play his guitar or even lift a jug of milk! Dr. Mahan was so amazed at the body’s ability to heal itself without drugs or surgery that he changed his college program from pre-med to pre-chiropractic at the University of Minnesota. After graduating, Dr. Mahan went onto Northwestern University of Health Sciences to complete his doctorate in chiropractic. 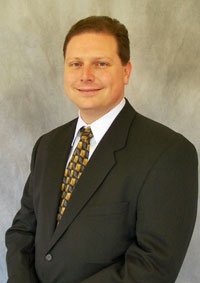 In addition to his degrees, Dr. Mahan holds the following certifications. Certified Chiropractic Extremity Practitioner (C.C.E.P.) – the only one in our area! Dr. Mahan made trips down to his home state of Florida while attending college, and would stop to see his older brother who lived in North Carolina. In 2000 Dr. Mahan and his Wife Catherine moved their family from Charlotte to Lexington to open the office together. When he’s not in the office, you’ll find Dr. Mahan at home spending time with Catherine and their kids Alexa and Trevor. Together they help out with their sports and activities events, including tae kwon do, dance and Girl Scouts. Dr. Mahan also loves to cook healthy, delicious food. Please feel free to ask him how you might improve the nutrition for your family while making it yummy.